Convenient and ready-to-connect panels include temperature, power, process, multi-loop, and safety limit controllers. 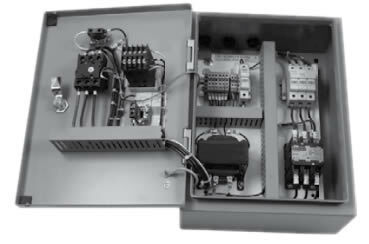 Designed specifically for electric heaters, control panels contain switching devices, fusing, and internal wiring. Our panels may be custom designed to meet your special requirements.